Good job man. The link to your blog is right above the blogroll to your left. This concludes this trolling exam. Congrats for those of you that passed and better luck next year those who haven't. 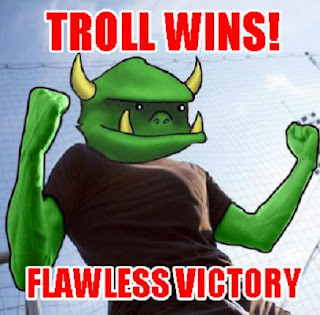 Keep trolling! Dude I tried that and all that happened was my computer broke. Did I delete the wrong folder? all i do is win bro, like khaled. where cans i finds my system 32 folder on my Ubuntu distribution ?? So that whole contest wasn't a giant trolling in progress? Haha, why didn't I think of that..
Congrats kasek , does he win a prize?